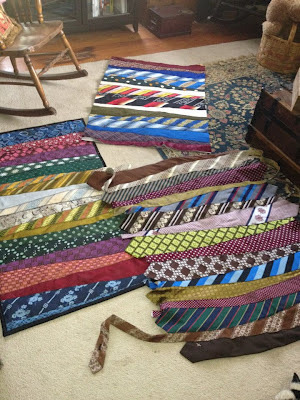 I have been a necktie rug making fool over the last week. 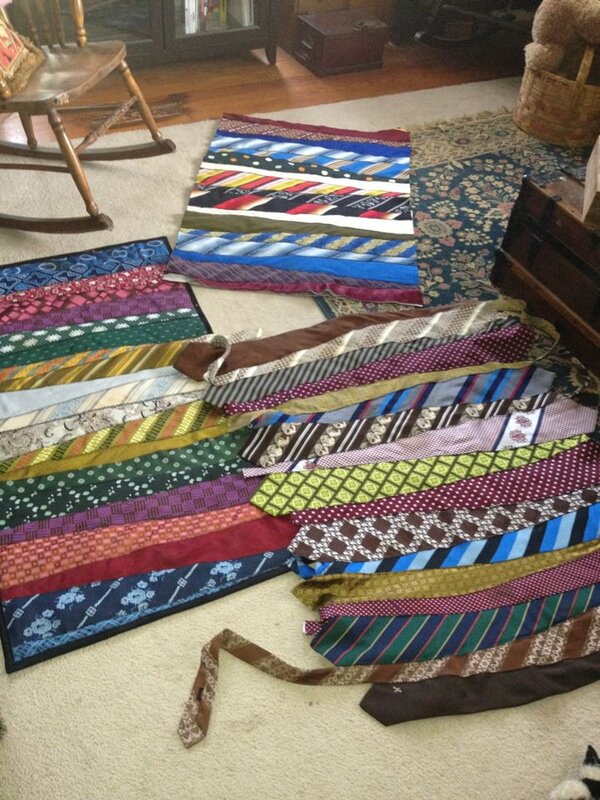 I still have enough ties to make maybe three more rugs. These rugs are fun and simple to make and they come together in no time at all. In this picture the one on the left is completed and the one at the top is backed and just needs to be bound. The one on the right needs to be trimmed, backed and bound. I have been using a duck for the backing after trying several different types of stiff interfacing. 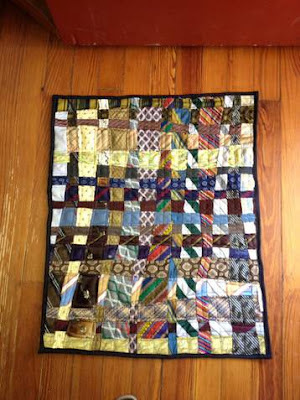 I am using a black canvas for binding.